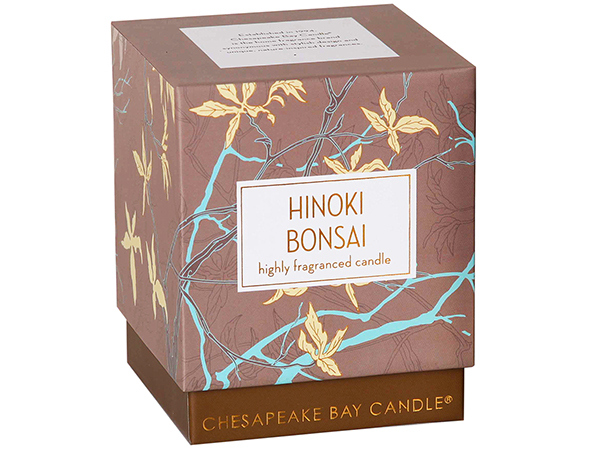 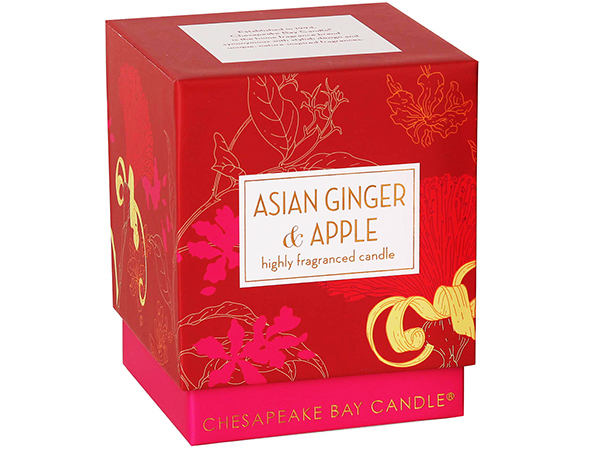 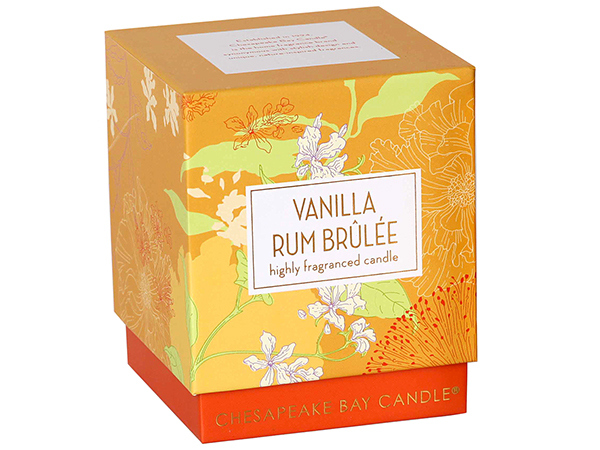 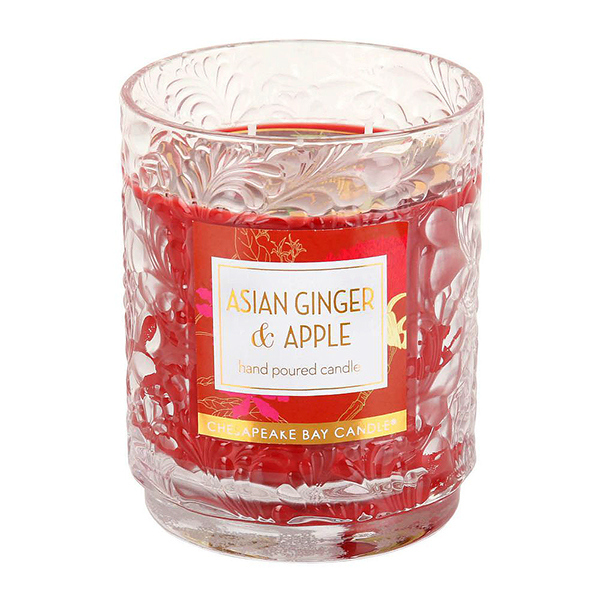 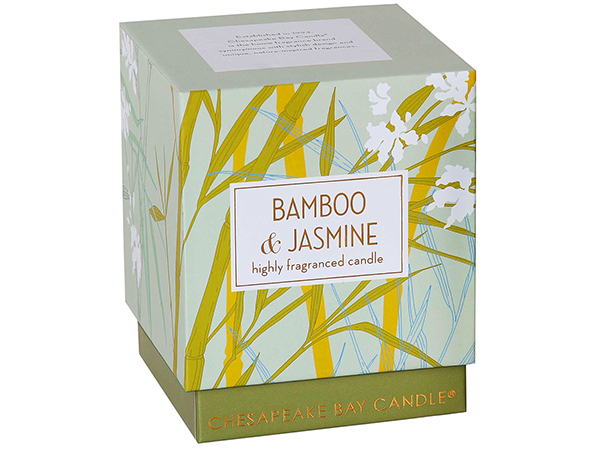 Yana Beylinson worked with Chesapeake Bay Candle to create an eclectic Aromascape product line. 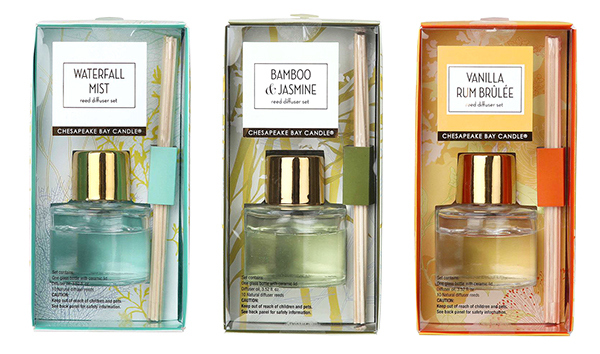 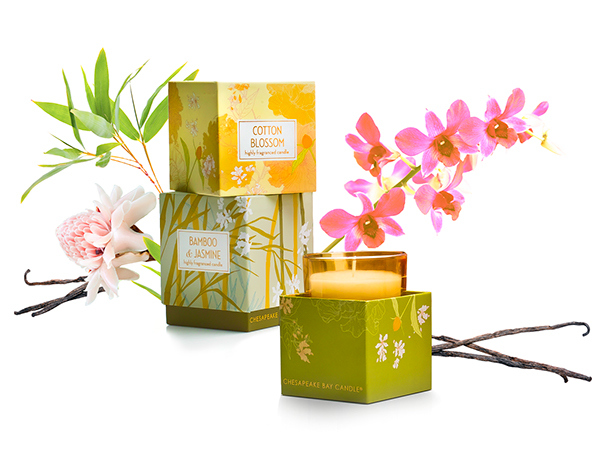 The collection features delicate and unique home fragrances and includes signature boxed candles, pillars and diffusers. 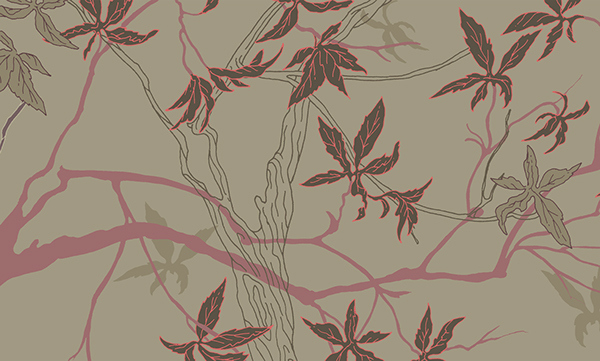 Drawing inspiration from tropical locales, lush botanicals and traditional Asian prints, Yana created rich patterns for the collection. 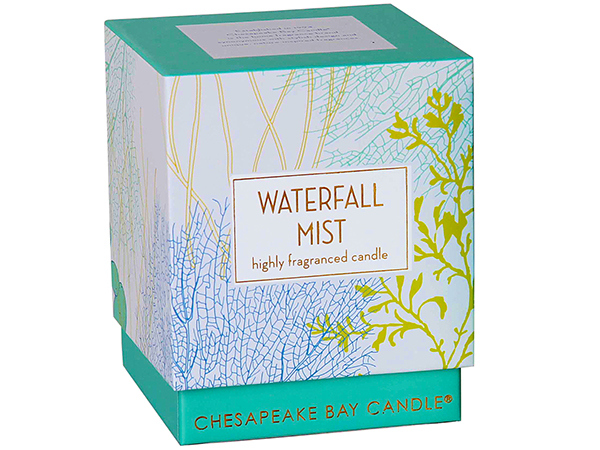 The flavors range from warm and sweet (Asian Ginger & Apple) to cooler mintie ones (Waterfall Mist). 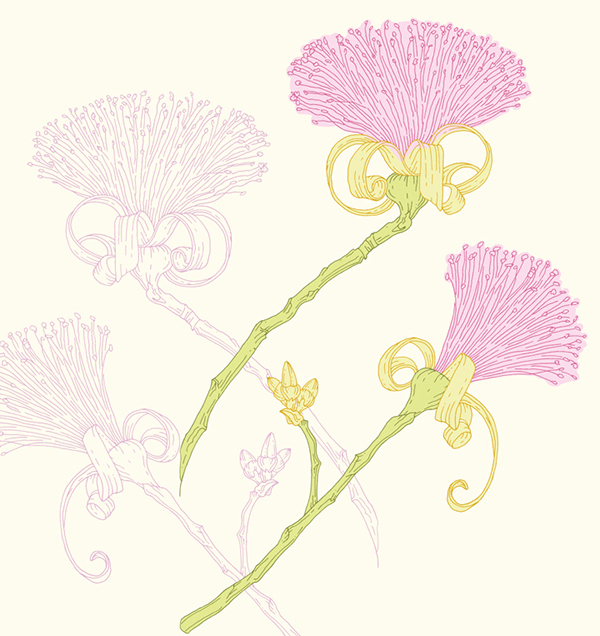 The line is an artwork in its own right! 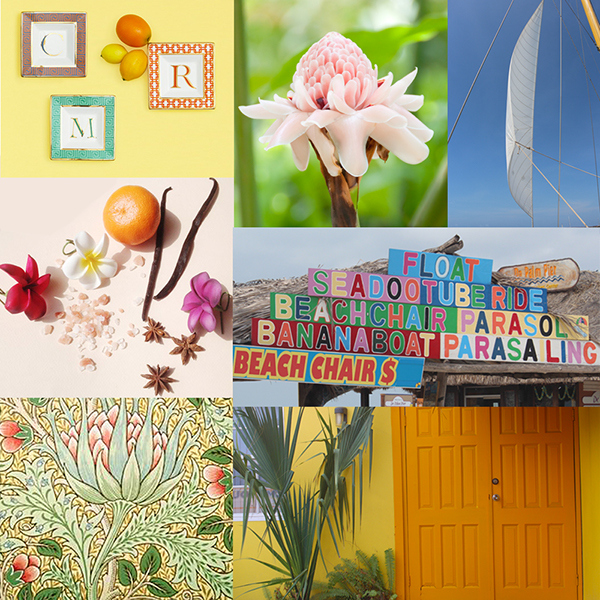 Inspirations - visit to tropical destinations (Aruba), food, whimsical home decor and fashion items, beach life, Japanese prints, William Morris textiles. 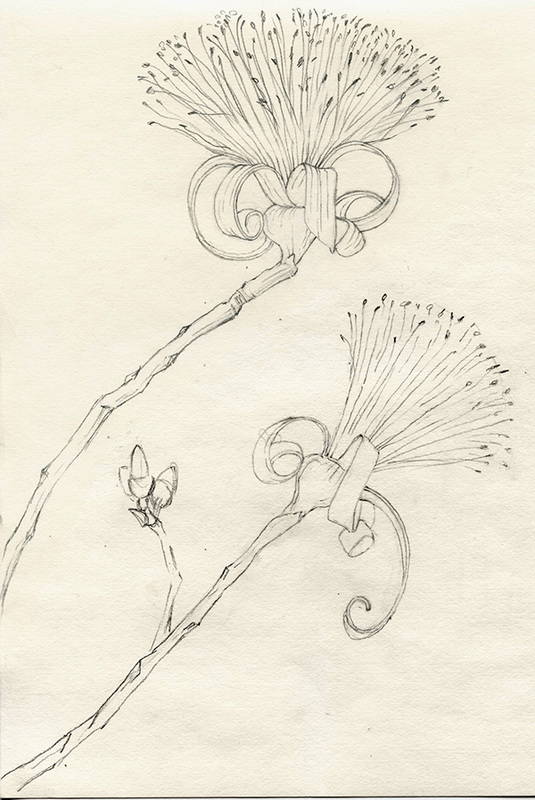 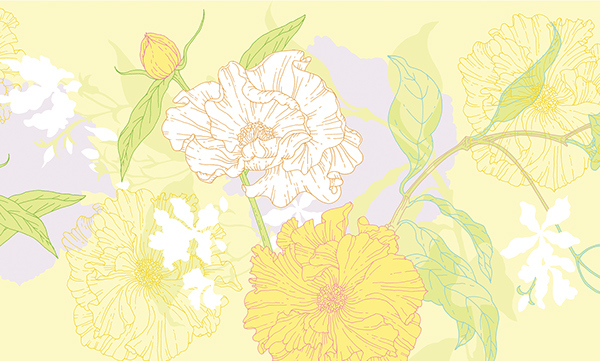 And as always - nature and flowers! 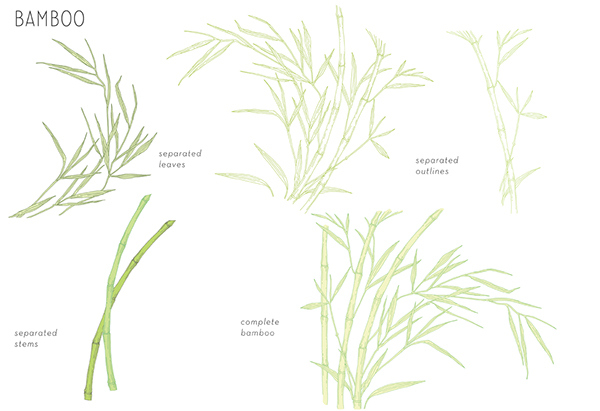 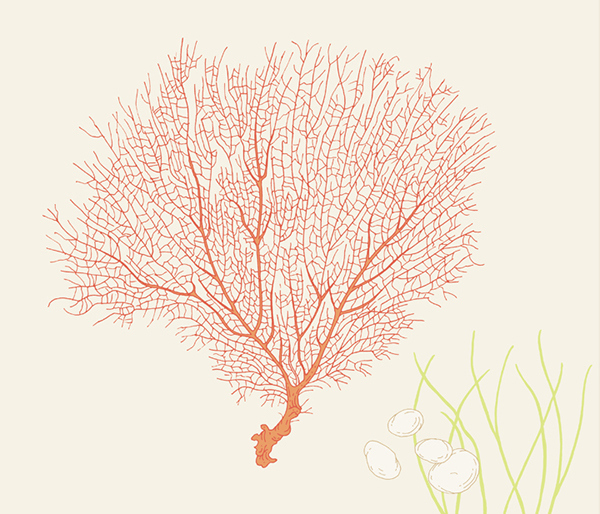 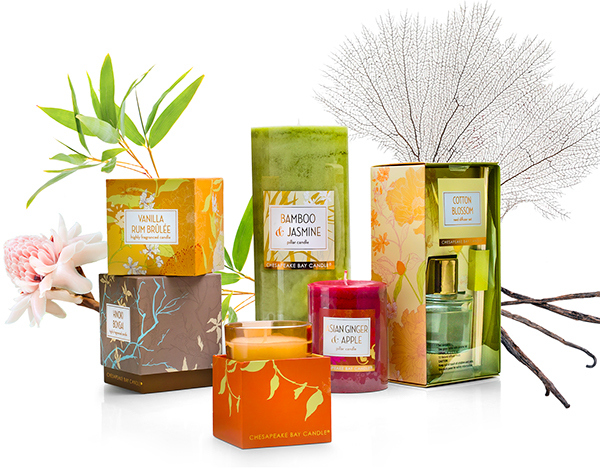 This project comprises branding design, illustration, pattern creation and packaging design for Aromascape. 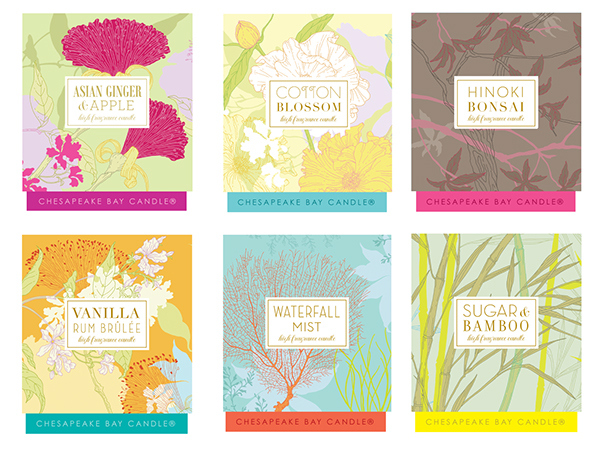 This unique home fragrance collection by Chesapeake Bay Candle consists of six scents, and multiple products. 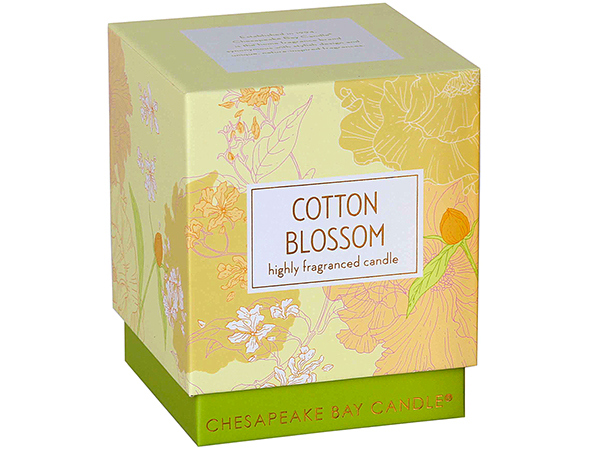 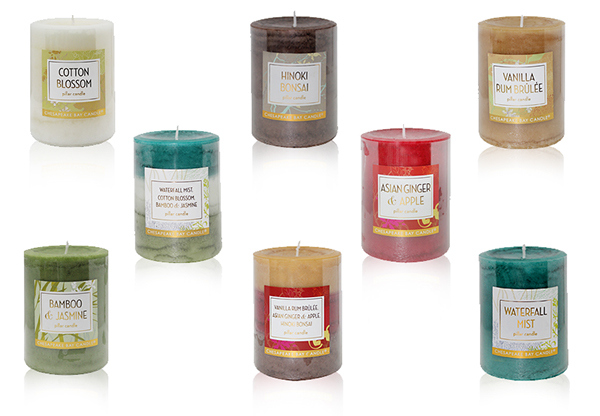 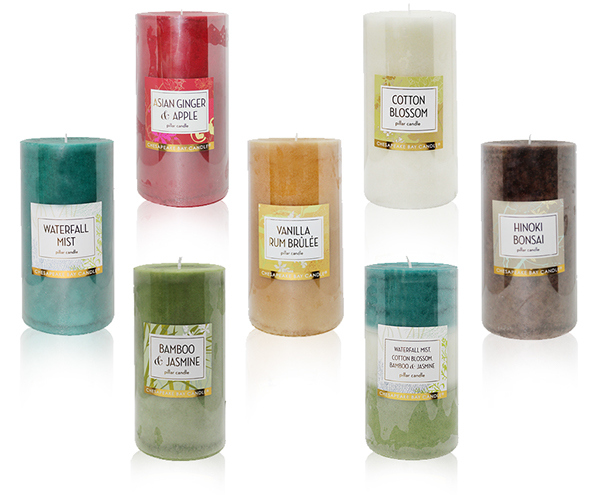 Signature boxed candles, diffusers, pillar candles, and others offer a variety of custom developed fragrances. 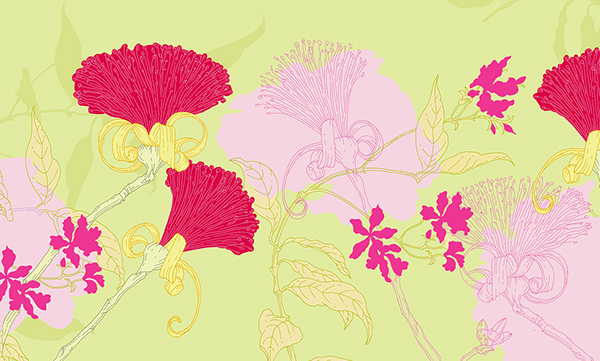 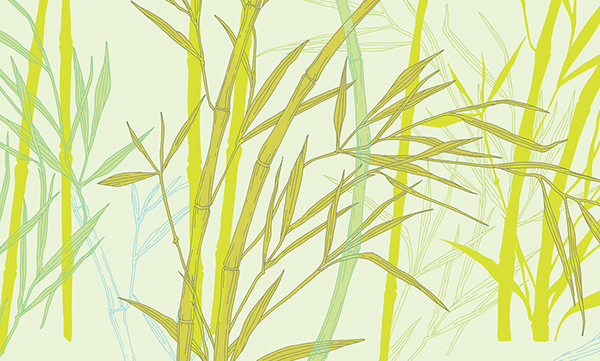 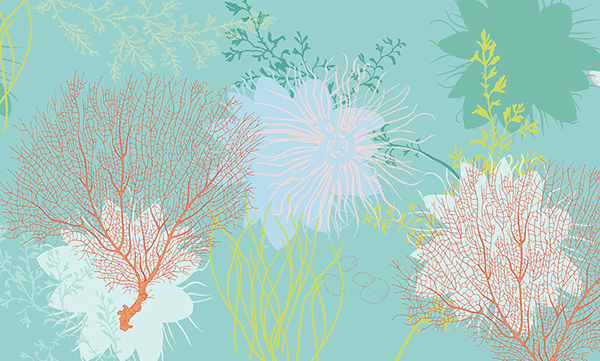 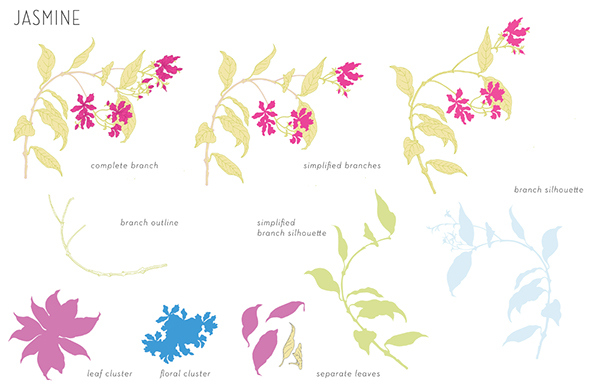 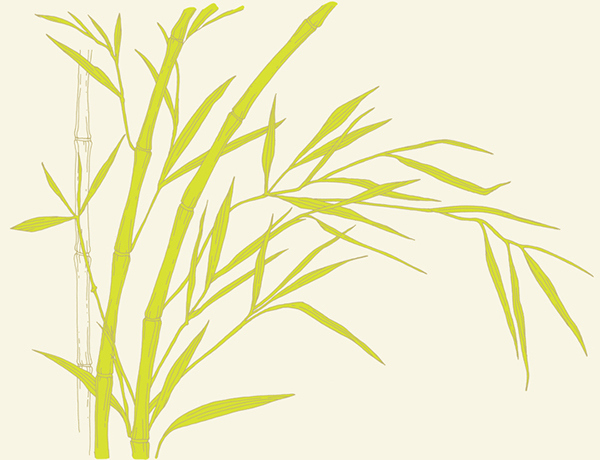 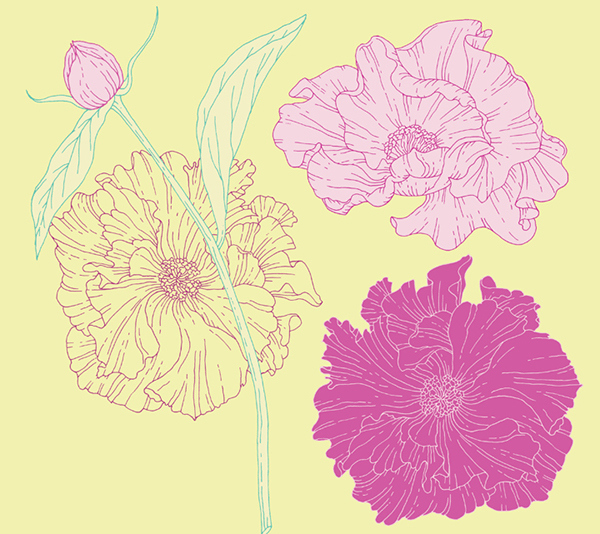 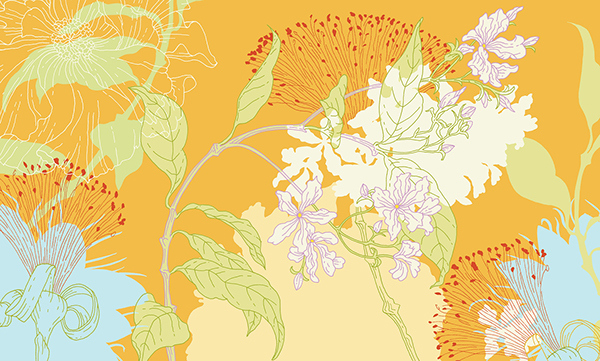 Starting with concepting, to illustrations of each plant and flower, to illustration, to pattern design and then to branding and packaging design, the project is an involved study of the brand.